As we were reviewing the services and trading options offered by BDSwiss, we found the platform to be both innovative and popular with traders. It is an excellent broker for providing viable trading forex and it has the potential for excellent returns on investment. We were able to complete several types of trades during our review, including long term, one touch, 30/60 seconds, pairs and ladders. We were pleased with the variety of options offered by BDSwiss; it’s actually one of the best we’ve found. Regardless of the type of trade desired, BDSwiss probably has it. BDSwiss applied for and received a brokerage license from Cyprus’ financial regulator named CySec in 2013 (license number 199/13). Since, then the company has been regulated in other parts of the European Union, mainly because of its headquarters in Cyprus. However, despite being a comparatively new broker, it has managed to gain a lot of popularity and trust amongst newbie and seasoned traders alike. The company from its founding days has always focused on active communication with traders. BDSwiss’ support team can easily be contacted via chat, phone, email or their website. The company resolves most issues and answers questions within the shortest time. 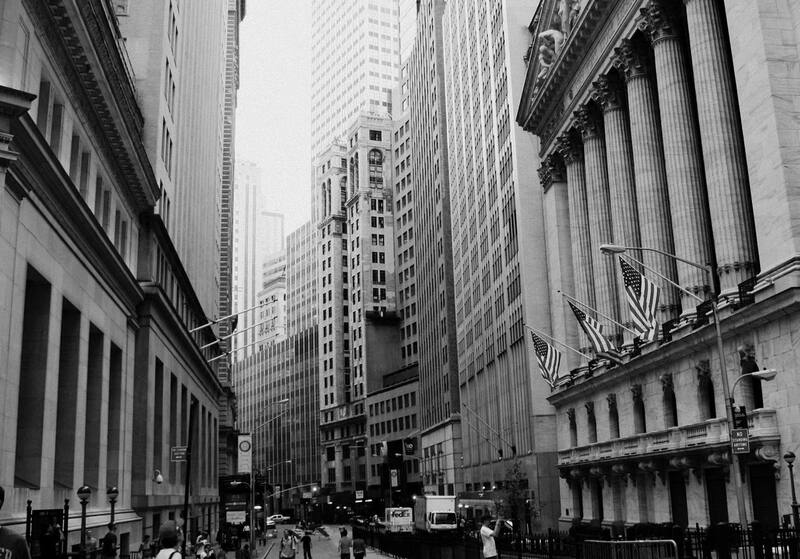 The brokerage allows for many different types of trades which include small investments by those who don’t want to risk a lot of money. It also accommodates so called high roller traders who are known to invest hundreds of dollars per trade. The company has set the minimum deposit at $100, with the minimum trade set at $25. Traders can open their accounts in EUR, GBP or USD. Traders who make profitable trades can expect to receive between 65% to 85% of the profit. However, for the vast majority of underlying assets the generated quotes use a formula i.e. bid amount + ask amount / (divided by) 2. It is for this reason that we ask traders to check with third-party indicator or signal services that may employ a similar formula in case they are using these services to improve your trading decisions. The platform gives traders access to more than 250 assets which form four major categories i.e. shares, currency pairs, indices, and commodities. The sheer diversity of assets available for trading opens up traders to trade in new markets and use a much more flexible trading strategy as compared to if they were just trading one type of asset. The company also lists the opening and closing hours for each type of asset on their website’s ’Assets’ section. The platform also offers trading of exotic currency pairs like USD/RUB, USD/ZAR, USD/TRY, USD/BRL, USD/SGD. All of this gives you the opportunity to leverage the power of a diverse portfolio and trading strategies. Plus trading in less competitive markets improves your chances of making a bigger profit. BDSwiss’s app and platform developers have used the SpotOption’s system as their basis for building the trading platform. The SpotOption platform is most notable for its blazing fast trading, easy interface, intuitive layout, and the fact that it prevents various trading nuisances like slippage and delays. SpotOption is a high-quality platform evident from the fact that it’s used by big name binary options brokers. Plus, you are not required to download the platform to your computer as its possible to trade directly via a web browser. “Call/Put” – It is the most commonly used option where the trader needs to predict if the price of an underlying asset will move either below or above the given level within the next 10 minutes to 60 minutes. The trader can choose the time based on their strategy. The instrument can be used to trade any asset that’s available via the platform. “Pairs” – Many traders are already familiar with the concept of trading currency pairs from different regions of the world. ”Pairs” is an instrument which uses a similar principle i.e. it enables a trader to speculate on the performance of two competing assets or shares like for instance the shares of Shell versus Exxon. “Long-term” type options are best for traders who like the flexibility of a longer trading time frame. So, the expiration time starts from usually around the end of the week and can be as much as one year. The ”Pro Trader” feature is yet another advantage of using BDSwiss’ platform. When the feature is activated the platform displays a very detailed chart of an asset that the broker is interested in with all the needed technical indicators along with other tools. The chart can be used to analyze the market properly, and then make trading decisions based on that information. Other than these few changes the interface and features offered are exactly the same. The app is automatically kept updated with the latest prices, trends and other information in real time so the app and the desktop version of the platform can be used interchangeably. The mobile app is available from Google Play store for Android users and the App store for iOS users. BDSwiss has been offering its services for a while now and is rightly trusted by many traders who regard it as being a broker with experience. We saw no indication that BDSwiss was a scam though there isn’t enough information about the service and the brokerage on the internet. Most people or traders are not talking about the service even if they are using it. It can only mean that they have no complaints about the service or company. Plus their website’s traffic is interestingly steady at an average of 260K visits from August 2016, then 215K starting January 2017. 25% of the visitors are from Germany. The traffic figures are very good, and though there was a slight dip in 2016, it recovered soon after. In our experience, so as long as there aren’t any significant spikes in traffic, either way, it’s a good indicator since it eliminates the chance of the company using inflated traffic to boost popularity or quickly onboard new clients. BDSwiss is unique in that finishing a trade out of the money does not necessarily mean a trader will lose their entire investment. This is because 5% to 10% of the original investment is retained in order to minimize losses when a trade is off target. Maximum payouts vary between 68% and 85%. Finishing a trade in the money results in high returns and finishing out of the money does not result in a total loss. BDSwiss offers a single type of account. It requires only a $100 initial deposit and is a live trading account. This small initial deposit marks BDSwiss as an excellent choice for traders who are just starting out, right there at the top with Banc de Binary. We found the low initial deposit helped us to feel comfortable with trading more quickly than risking a larger investment would have done. For currency pairs, USD/CAD, USD/RUB, EUR/GBP and others are available. The indices which can be accessed include NIKKEI225, NASDAQ and several others. The minimum amount which may be deposited or withdrawn is $/€100. Withdrawals may be completed using the same method as the deposit. We found the customer service offered by BDSwiss to be excellent. It is available on a 24-hour a day, seven day a week basis and can be reached through email, phone or live chat. The professional customer service staff is dedicated to helping traders with any forex trading problems, just like with Binary Option Robot. During our review of the services offered by BDSwiss, we found that it is a very good service for beginning and advanced traders alike. They offer an outstanding array of assets and trading options, while keeping their account structure simple and their plat form very easy to understand and offering excellent returns on investment. 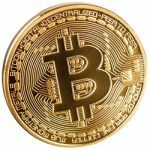 They have earned their high popularity among traders through an outstanding offering of assets and trading options, while also keeping minimum deposits and payouts at a very reasonable $/€100. Their customer service is excellent and the system of deposits and withdrawals is easy to use. Popular platform. SpotOption is the basis of this platform. It is a popular platform owing to its simple and very intuitive interface which makes exploring and solving issues easy. Multilingual Supported platform. The customer service is available in 19 different languages. It is one of the features that helped the company gain widespread popularity amongst brokers from all backgrounds. The broker can be used by everyone. Unlike other platforms, this one’s minimum requirement is a mere $100, with a minimum trade volume of just $25. The low barrier to entry makes it suitable for beginner traders as well as professionals. The advantage for beginners is, of course, being able to trade without the risk of losing a big investment. A Wide Selection of assets on offer. 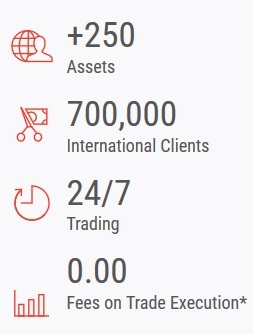 BDSwiss gives traders the ability to trade more than 171 underlying assets in four primary categories i.e. currencies, stocks, commodities, and indexes. Plus, there are six different types of option contracts which can be traded via the platform. 24/7 support. Excellent and around the clock customer support means that traders are able to get answers to their questions right away. Traders can contact the company via telephone, email and live chat. Support is also available in all supported languages. Personal manager. Every trader has a personal manager who is there to provide them with support both over the phone as well as via chat and other ways of communication. Regulation. The broker is regulated by Cyprus’ finance regulator i.e. CySec with license number 199/13. 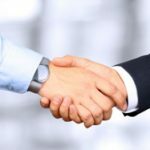 Plus, the company is regulated in many other EU countries so you can be assured that the broker’s business practises are transparent and they are accountable to any wrongdoing. Maximum Payout. A well-executed trade could mean that the trader gets up to 85% of their profit from a single transaction. Training. The company makes an effort to educate traders. Webinars are conducted and traders are invited to attend on an almost regular basis. Additional learning material like support and various other benefits are offered too. Mobile applications. Traders can execute trades from across the world and using any smart device with the service’s app. The mobile version of the platform is compatible with iOS and Android devices. Discussion Forum. The Discussion forum allows traders using the platform to communicate with each other, share experiences and advice. Everyone benefits from good advice and a healthy discussion. Useful tools. The platform also provides many additional tools which ensure or at least improves the chances of executing a profitable trade. Tools like market analytics, economic calendar, blog, etc. Are all very accurate and can be instrumental when it comes to making good trading decisions. 10% refunds on unsuccessful trades. It is an option which can be configured by traders, but it can end up affecting the payout received for profitable trades. No support for Windows phone. The mobile app is not available for Windows phones at the moment. 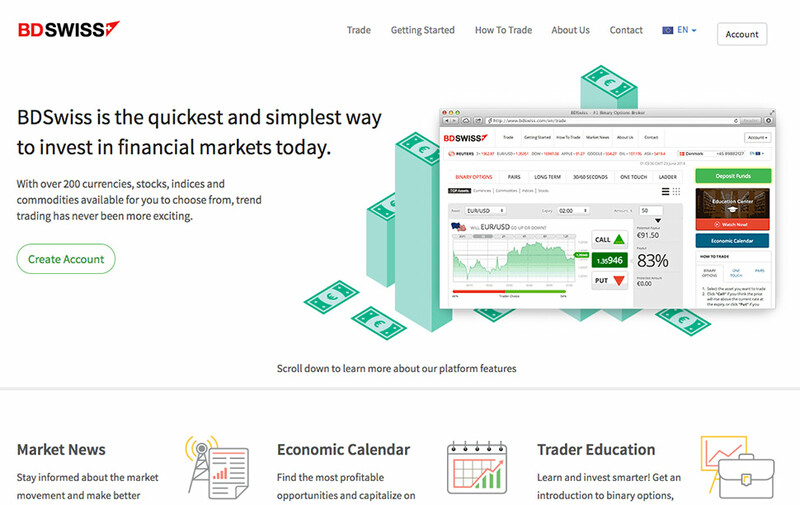 7 Binary Options review: BDSwiss: 4.5 stars. Whats bad is this is one of the many platforms that are not available to us in the U.S. so can’t really say what I think. I hear both good and not so good things about them so if anybody else can tell me their experiences would be nice!